What's the best part about being a Tetris fan, aside from the endless amounts of joy the game can bring you? It may be the ability to play the game wherever you want! Thanks to countless releases over the years spanning numerous different platforms, you can literally play Tetris anywhere. You can enjoy Tetris on the big screen, play a few rounds on your phone or tablet, and even enjoy the game on Messenger! The only question that remains is... which way of playing Tetris do you prefer? Is playing on a video game console a far superior experience compared to portable versions of Tetris? Or, does playing on-the-go trump having to plop down in front of the TV? While there's no right answer, there's certainly plenty of passionate arguments to be made for both sides! For many Tetris players, nothing beats playing Tetris from the comfort of home. Serious Tetris fans will tell you there's no other way to enjoy Tetris than at home be it on the computer, or on the TV. 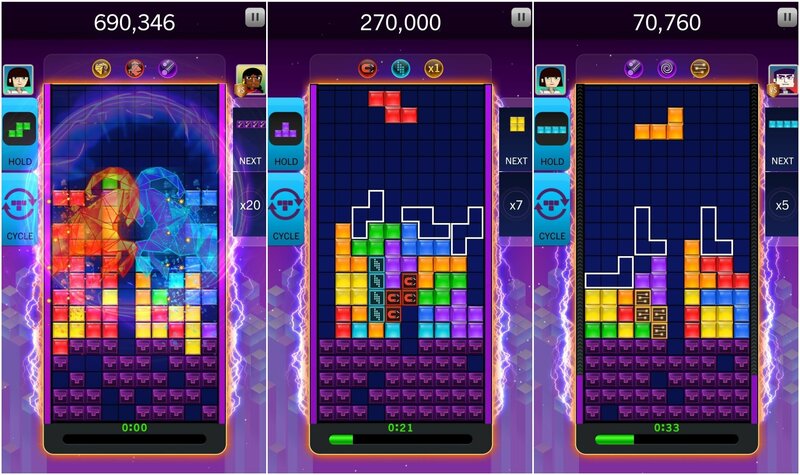 These Tetris players prefer to be fully immersed, and feel you can’t get the full Tetris experience if you're only playing on mobile devices. Instead, they advocate for firing up Tetris on your 60-inch TV or personal computer, cranking up the speakers, and losing yourself within the world of Tetris! There's certainly something to be said for playing Tetris on a TV screen or computer monitor. You're getting a fantastic look at the action, and it turns the game of Tetris into something grandiose. Having a game controller or keyboard at the ready and controlling the action on-screen feels like the only way to play Tetris for a lot of people. To their credit, we can’t deny that playing Tetris at home simply feels right! Some Tetris players prefer having Tetris available no matter where they are! While playing Tetris on the big-screen certainly has it perks, can it beat out Tetris on a portable device? Playing Tetris on a mobile device or dedicated gaming portable puts the power of Tetris in your hands. You're able to play the game anywhere you want. The thrill of Tetris is right there in your pocket, always ready to be fired up and entertain you! How can you top that? We've all been to some social situations which leave us feeling a bit bored or awkward. This is when portable Tetris comes in to save the day. You can sink down into the game on your tiny screen and ignore the situation surrounding you. Plus, if you have Tetris on-the-go, you never have to fight anyone else for time to play. The beauty of playing Tetris on a portable device is that it’s available anytime, anywhere! We happen to think Tetris is fun no matter how you play it. 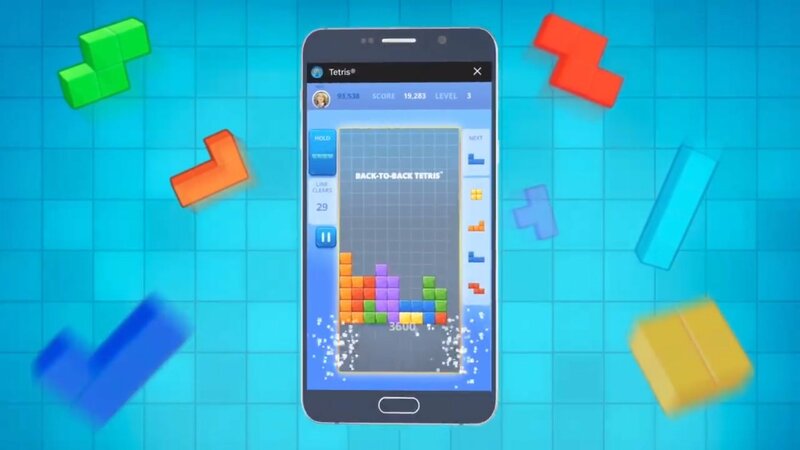 Whether you prefer sitting down to Tetris at home, or having it instantly accessible while you’re out and about, Tetris is always going to be a blast. That said, we'd still love to know which team you fight for! Are you a die-hard home Tetris player, or do you sing the virtues of playing Tetris on-the-go? Share your comments with us here or on social media, as we'd love to know what you think the best way to play Tetris is! 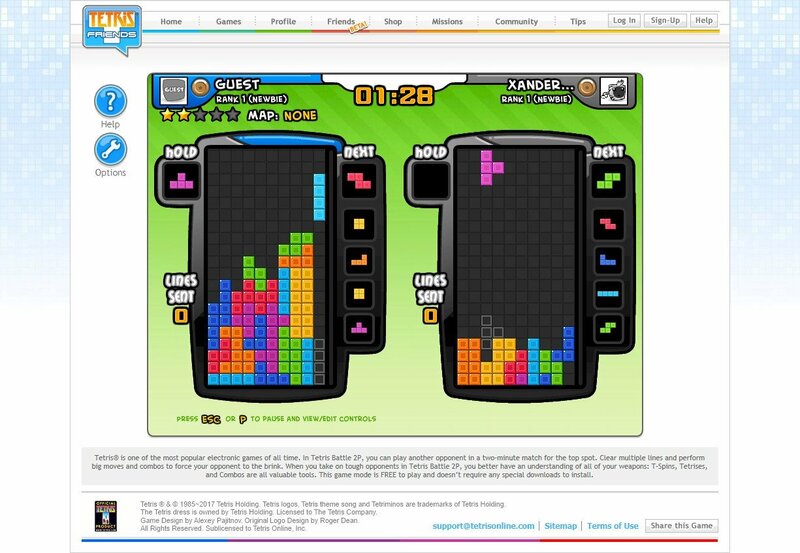 While you're trying to figure out which side of the battle you're on, why not enjoy a bit of free Tetris on Tetris.com right now?